Sluban Educational Block Toys India brings an exciting range of building block toys for your child to keep them occupied in creative pursuits. Building block toys serve as ideal tool to develop the mental, observational and cognitive skills in children. Because of its attention to precision molding, these Educational Block Toys are compatible with most of the building block based toys available to your child. This compatibility expands the options for your child to explore new games by applying creative thinking. Sluban building block toys are better option for parents looking for an affordable Educational blocks toys without compromising on quality.
. We at Sluban believe that the true test of our building blocks is when, your young one is elated while building them and when seeing so the parent also exhilarated. 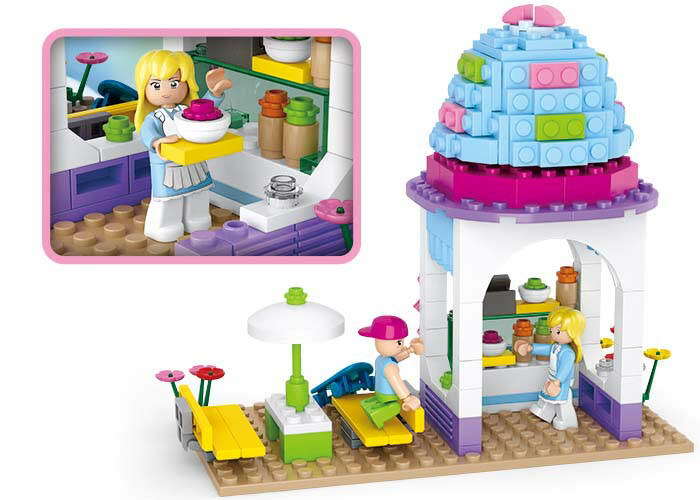 Sluban Educational Block Toy Ice Cream Shop M38-B0525 includes an assortment of softies, cones filled with mouth watering icecreams, bricks and plates. 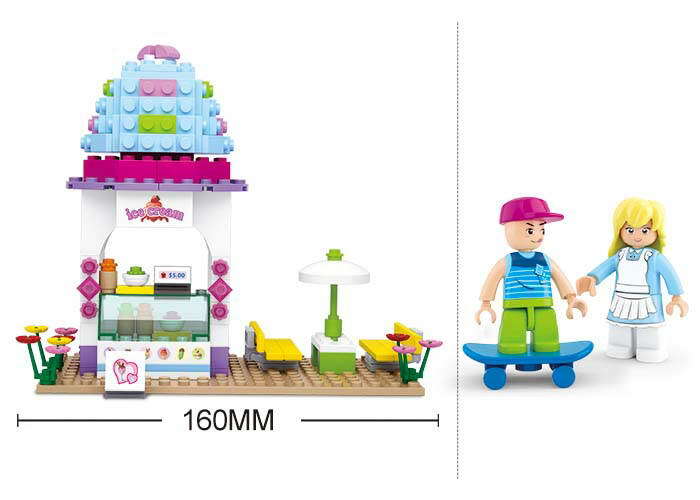 The Ice Cream set of toys that is offered by Sluban Educational Toys India is complete with price tags for the icecreams and colourful building blocks required to set up Sluban ice cream parlour in a jiffy. Sluban building block toys offer the best alternative to parents looking for affordable substitute of Educational Block Toys. 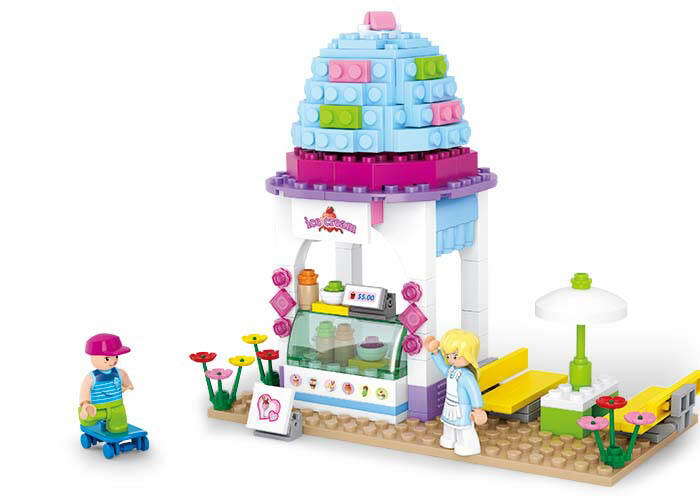 This ice cream kiosk building block toys is part of Girls Dream Educational Block Toys Theme based game brought to you by Europe's leading building block toy seller, Sluban.